The podcast aims to share the purely personal and often unashamedly biased opinions of three everyday guys. Discussions cover news, politics, society, culture, religion, technology and more. Education - Home Or School? 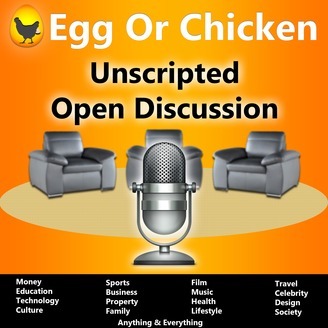 The Egg or Chicken podcast shares the purely personal and often unashamedly biased opinions of three everyday guys who have something to say. 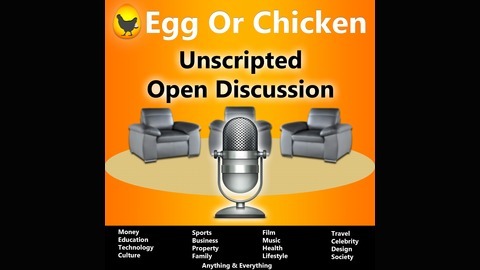 Topics covered mainly focus on; reaction to news and events (past or present), technology and lifestyle. However, they’re prepared to delve into literally anything and everything. To keep the discussions fresh and real, all topics are literally picked out of a hat with no prior research or investigation permitted. Every now and again they lure a guest into the den to join in. Should Charity End At Home?